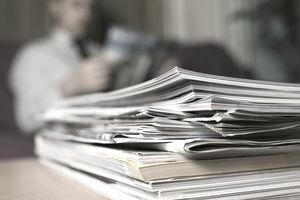 No matter what your experience level, specialty, or practice environment, a legal publication exists that caters to your needs and interests, and it can be indispensable. From keeping you up to speed on latest developments and trends to simply offering a sense of camaraderie on really bad days when no one else understands, these leading legal publications in the industry are just the ticket. The American Lawyer: In addition to its popular rankings, this publication covers all aspects of law firm management, from litigation, corporate law, and technology, to big deals, major lawsuits, pro bono law, and the Supreme Court. California Lawyer: This publication provides current information on both regional and national trends. It profiles leading personalities on the bench and the bar and offers legal news and features. Canadian Lawyer Magazine: The magazine provides news and information for the Canadian legal practitioner. Corporate Counsel: This publication is ideal for chief legal officers and in-house counsel, offering news and information. The Federal Lawyer: The Federal Lawyer offers news of interest to the federal legal community, including feature articles by attorneys and judges, book reviews, Supreme Court rulings, coverage of FBA activities, and information about new products and services. Law Practice Magazine: The magazine reports the latest developments and commentary to assist attorneys in managing their law practices effectively. Law Technology Today: This one is a webzine. It offers practical tips and tactics on law practice management, including areas of marketing, technology, and finance. Nevada Lawyer: It publishes news, articles and how-to features relevant to Nevada’s legal community. The Pennsylvania Lawyer: Geared toward the Pennsylvania legal community, it nonetheless publishes articles of interest to most attorneys. Plaintiff Magazine: This publication covers various aspects of trial practice of importance to California plaintiffs’ attorneys. The Professional Negligence Law Reporter: This one covers the latest legal developments concerning negligence by health care providers, accountants, lawyers, securities brokers, and other professionals, as well as case summaries, news stories, and articles. Super Lawyers Magazines: Are you a super lawyer or are you working hard to become one? This publication provides listings and profiles of outstanding lawyers from more than 70 practice areas who have attained a high degree of peer recognition and professional achievement. TRIAL Magazine: TRIAL offers news of the latest legal trends and developments, articles about civil law practice, and commentary and analysis on emerging legal issues. Virginia Lawyer: This is another one geared toward a certain region. It covers news and articles of interest to the Virginia legal community. West Virginia Lawyer: If you practice just a bit west, try this one. West Virginia Lawyer features articles of interest to the West Virginia legal community.